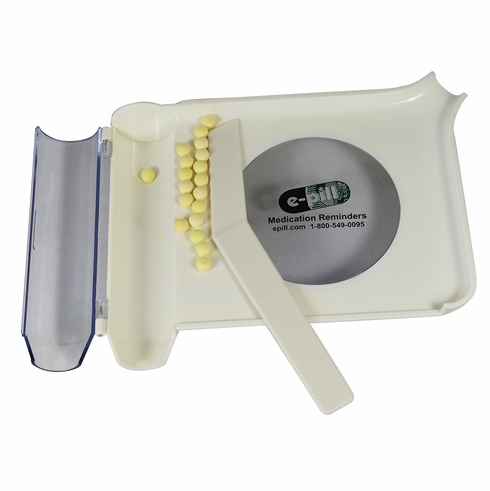 Right-Hand Pill Counter & Loader for filling of an Automatic Pill Dispenser. Complete system includes pill counting Tray and Spatula. This is a professional grade pill counter and pill loader, similar to the system used by your pharmacist in your drug store. Makes it easier to load your e-pill Automatic Pill Dispenser. Shipping: FREE Standard SHIPPING (US Customers only, Non-US Customers pay $15.00 for Shipping & Handling).